Introducing my new line of ready to ship sets! 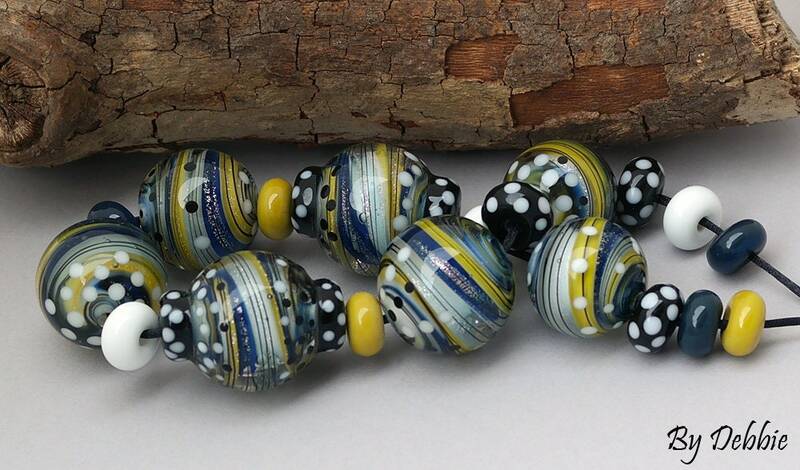 A beautiful Organic set of 7 lampwork beads (roughly 18-20 mm each) in vibrant glass colors of navy, white, golden yellow and dichroic glass (sparkles inside), spacers are included. 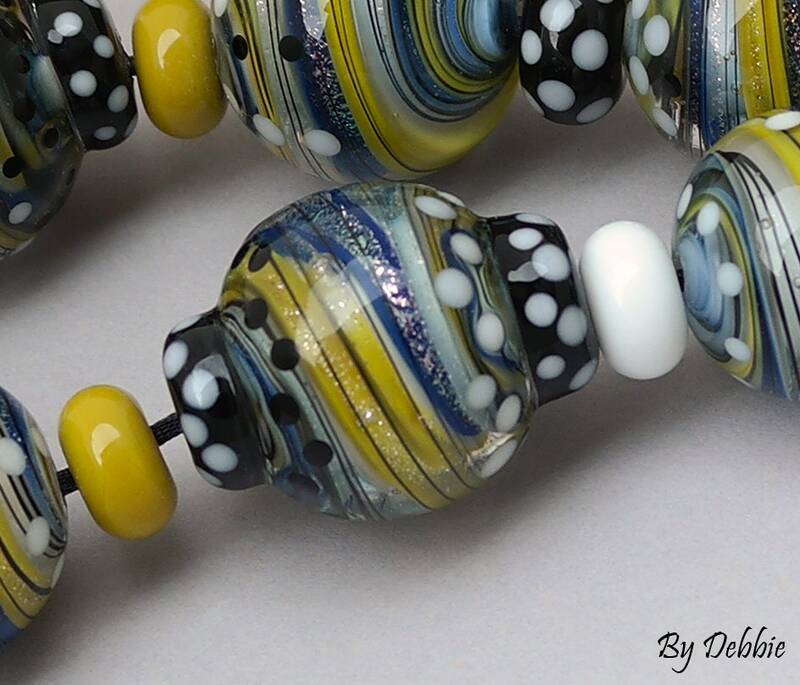 Strand length is just under 9" (228 mm). 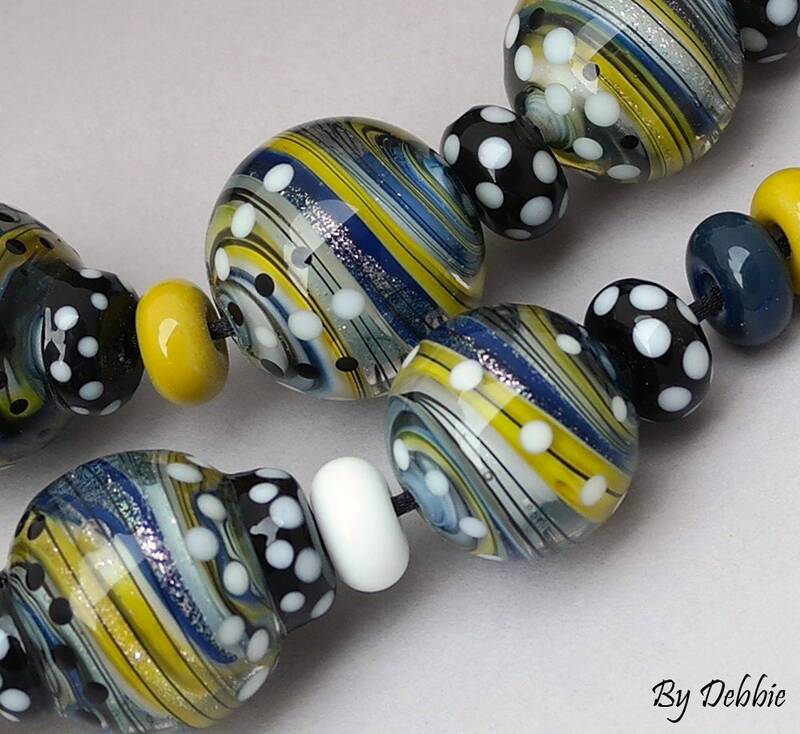 Many hours have gone into this multi-layered glass bead set. 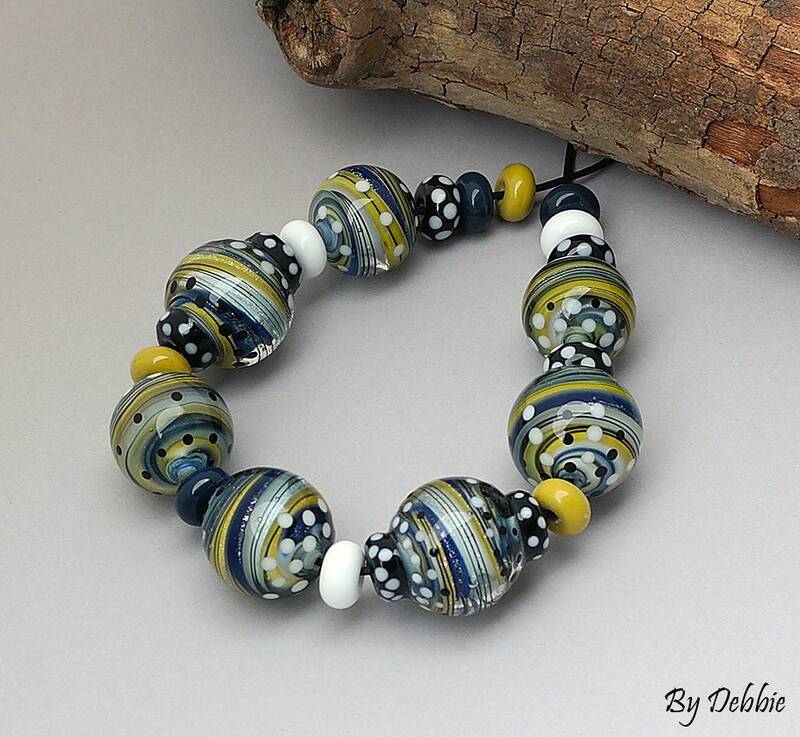 No two beads are alike! Accents include fine stringer work dots. 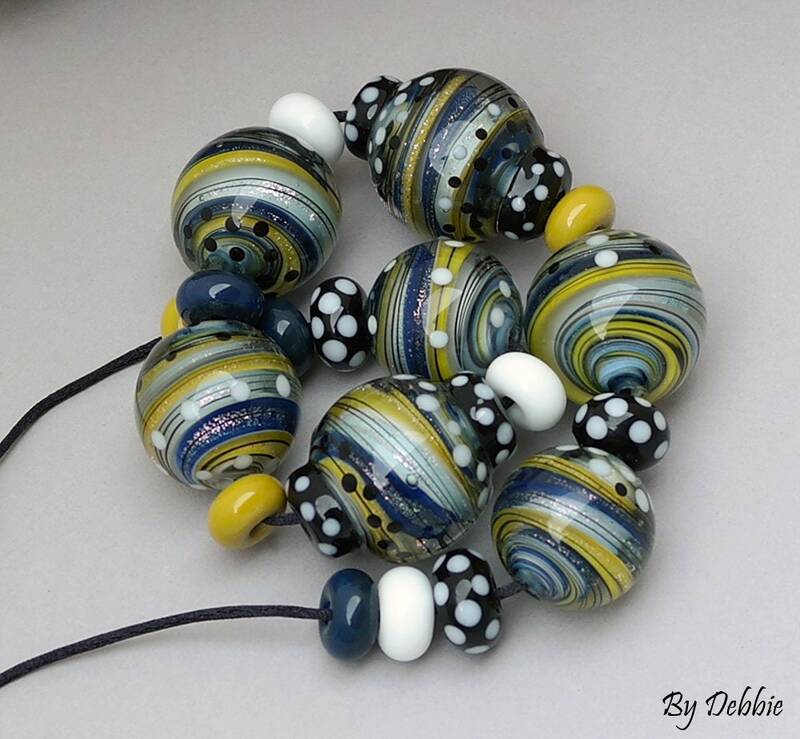 My beads are good for jewelry and craft projects! This set is ready to ship out.